Emotions are just emotions. As you walk through the following chapters, you will learn to separate emotions and learn to feel them fully, but not make them truth or facts. After all, they are simply emotions. Your emotions need to be identified and processed for you to be emotionally healthy. 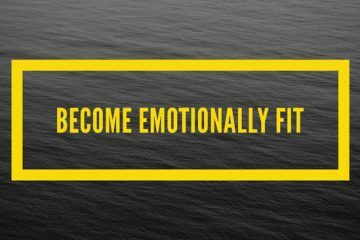 As you move away from the perception that feelings are expressions of fact or truth, you will be more capable of having the ability to identify and process your emotions, leading you to emotional fitness. 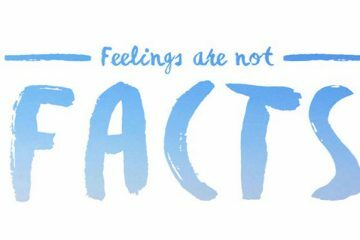 Feelings are not needs. I have had clients improperly taught that their feelings are needs. The next thing they are taught is that their spouse or others are to meet these needs. Let me clarify what a need really is. This is not meant to sound brash, but I want to be clear. A need is not a want, desire, wish, or luxury. A need is not something you need in order to be comfortable. A need is something you need to stay alive; without it you would die. You and I need air, water, food, and shelter. If you have a medical condition or are in an accident in which you require medical attention to live, you have a need. Often people who buy in to the idea that emotions are needs enslave those around them to meet their needs for almost anything, and come to resent others when it doesn’t happen. A husband who says he needs affection would do better to say he desires affection. A woman who tells her husband she needs him to put the toilet seat down would do better to say she prefers that he put the toilet seat down. They are close to the right idea. They do feel and, again, emotions are just emotions. An emotion can help you discover a lack in your immediate life. However, once you find a lack in your life, it is your responsibility to fill that lack and meet that need. Content taken from the Emotional Fitness book.